Summer is the time of year for lots of outdoor fun. 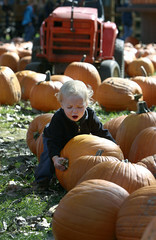 At Papa’s Pumpkin Patch, we also move from dreaming about new attractions and possible ideas to reality. 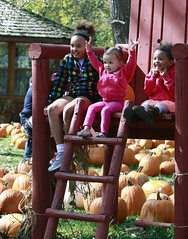 What can we create for the 2014 pumpkin patch season that will add to your opportunities for fun in the fall? 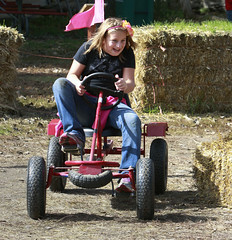 Over the Fourth of July weekend, Papa began clearing an area to add concessions closer to the pony rides, hay rides, zip lines and bale mazes. It will be tucked back under the trees and offer food and beverages, along with more seating near some of your most favorite attractions. While this is a more practical addition, there are also exciting new attractions that we will begin building in the coming weeks. Papa will share photos and the progress we’re making along the way. For now, enjoy every day until Sept.14. 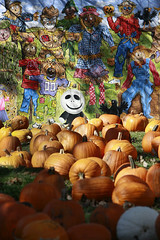 Then, come and enjoy your day at Papa’s Pumpkin Patch! Next Post Weekend Parties at Papa’s Are the Best!